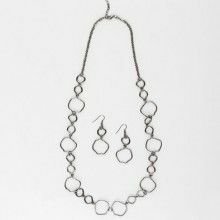 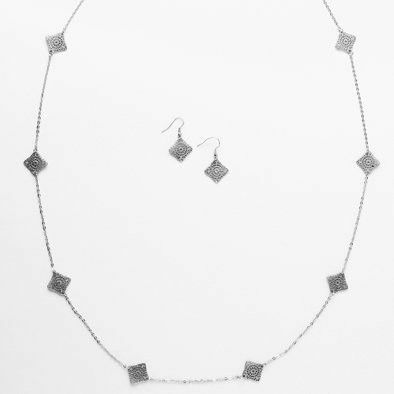 This silver tone fashion jewelry set has a matching necklace and earrings. 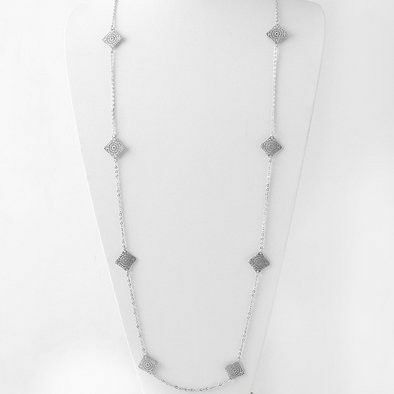 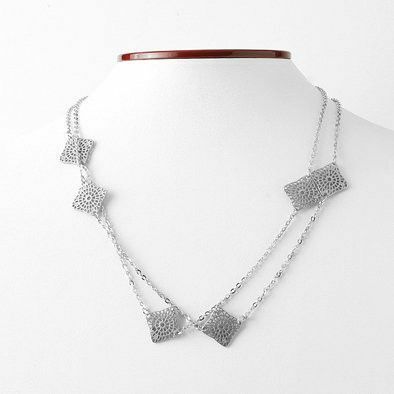 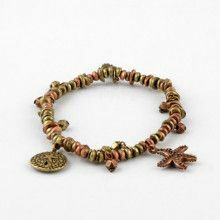 The necklace has matte metallic squares with decorative pattern cutouts on a silver tone chain. 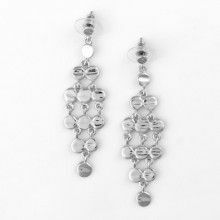 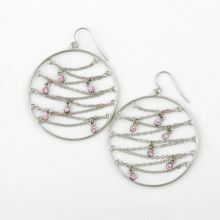 Each earring has a matching square dangling from a hook ornamented with two small beads.